While he was in Copenhagen, what did he discuss with Bohr? Einstein did not want to talk about the Copenhagen interpretation of the uncertainty principle. Copenhagen interpretation of quantum mechanics. Why was he against it? Standing Waves in the Lorentz -covariant World. 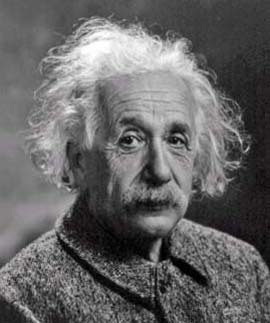 Einstein's Philosphy of Physics, based on Kant, Tao, and Hegel. Einstein's Bern, the Birthplace of E = mc2 . Further contents of E = mc2. Click here for more Einstein. the craddle of modern physics. Michael Fowler on Modern Physics. Lev Okun talks about Fundamental Units. Norma Sanchez about Unification of Concepts. 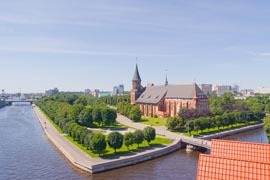 Kaliningrad. Immanuel Kant was born in Koenigsberg, and lived there for 80 years. Kant was Einstein's philosopher. Victor Hugo had two mothers. A form of Kaintianism. Herod Complex. Psychological problem for every physicist. Minkowski, Maxwell's equations, Minkowski space, and his Lithuanian background. Maxwell and Wigner. Massive and massless particles. Maxwell's Edinburgh. Maxwell was born and raised in Edinburgh, Scotland. Who else came from Edinburgh? Maxwell Waves from Heisenberg's Uncertainty Algebra. What is needed to bridge them? Maxwell, Marconi, and Sarnoff. How did they create this world of electronics? Faraday and Disraeli. Faraday got money from Disraeli for his research. How? Feynman: the Elvis Presley of Science, by Yuval Ne'eman. Feynman's 1970 Talk Harmonic Oscillators and Hadronic Mass Spectra. Feynman-Gell-Mann Gap and Feynman-Dirac Gap. Can they be bridged? 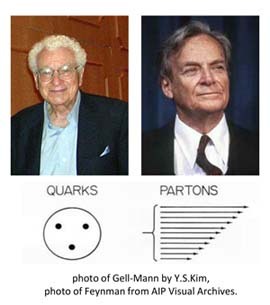 50 Years of the Quark Model. Feynman and Hegel. Then need each other. 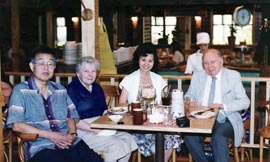 Feynman's Father came from Minsk. Bohr and Kierkgaard. Bohr's philosophical background. Was Einstein totally against Copenhagen? If so, why did he meet Bohr often after 1927? Bohr and Einstein. Did they talk about moving hydrogen atoms and their electron orbits? Bohr's hydrogen atom. 100 years from 1913 to 2013. Evolution of the hydrogen atom. The evolution of the way we look at the hydrogen atom and quantum bound states. Bohr's grandson talks about him. Niels Bohr was an oriental philosopher. Heisenberg talks about Einstein, including his visit to Einstein's house in 1954. 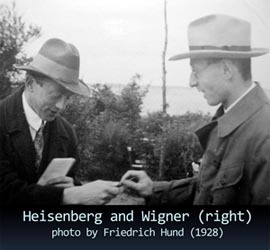 Heisenberg and Wigner, then Maxwell and Einstein. Heisenberg and Dirac. Is it possible to construct the Lorentz group from Heisenberg's uncertainty relations? I met Dirac in 1962. Lorentz and Dirac on Lorentz transformations. Wigner's Sisters. 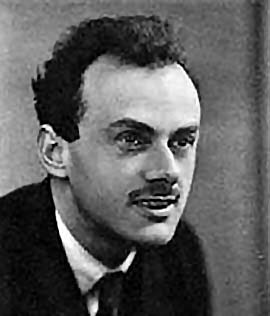 Dirac's wife was Wigner's sister. Dirac and Feynman. Combine them to get a stronger result. Chaucer, Dirac, and Feynman on permutations. Bankers, physicists, and their space-time approaches. I met Eugene Wigner while I was a graduate student at Princeton University (1958 - 1961), but he was not a thesis advisor. My advisor was Sam Treiman. Yet, I was interested in Wigner's 1939 paper on representations of the Poincar� group. Click here for a story. It is generally agreed that Wigner deserved the Nobel Prize for this paper, but he got the prize in 1963 for other reasons. I investigated this problem and showed that he indeed deserved the prize for this paper, and explained why this paper was not fully appreciated in 1963 when the Nobel citation was written. Click here for further details, and see this table. Click here for an Arxived article on this subject. This table is from my PRL paper published in 1989. Since I made a contribution to the 3rd row of the above table, I am known as Wigner's student in the physics community. Maxwell and Minkowki. Lorentz covariance of Maxwell's equations. Maxwell and Wigner. Lorentz completion of Maxwell's equations. Bohr and Kierkegaard. Faith in Physics. Lasting effect of Chew's Bootstrapism. Quark Model and God's number. Hermann Weyl's Sympectic Group. Two-by-two matrices. Lorentz and Unification of Forces. John A. Wheeler as a Cartoonist. Harmonic Oscillators as bridges between theories. Charles Hermite. Hermitian operators, Hermitian matrices, and Hermite polynomials. Can you do physics without him? Galileo's Inclined Plane, and its Synchronous Bells. Implications in Quantum Mechanics! 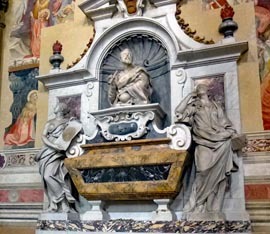 T. D. Lee's Galileo in Rome. 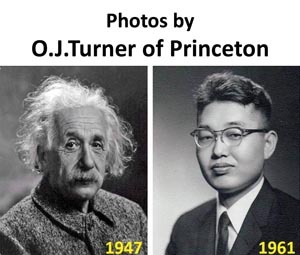 T. D. Lee shared the 1957 Nobel prize in physics with C. N. Yang on their work on parity violation. TD was 30 years old then. Did you know that he is also an artist? 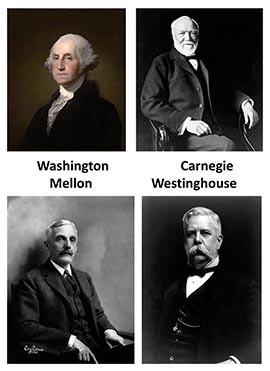 Four giants from Pittburgh, namely George Washington, Andrew Carnegie, Andrew Mellon, and George Westinghouse. Thomas Edison as more than a physicist. Tesla and Westinghouse. How did they change the world? Edison and Tesla. We need both AC and DC. Lee de Forest invented the vacuum tube. Popov and Edison. Russian Navy, and Annapolis. Michael Pupin's Columbia. 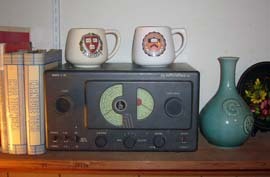 Also Hermann Helmholtz and Edwin Howard Armstrong. Digital literature. New language for communication. 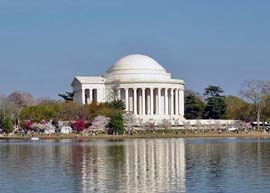 Harmony in Architecture and Harmony in Physics. Florence, the headquarters of the Renaissance. Kazan is a city of harmony. Saint Petersburg. Interesting photos, and interesting physics. Wright Brothers. How much federal grants did they receive for their research? Photos from Edinburgh. James Clerk Maxwell, Adam Smith, David Fume, and many other people came from this city. Eton and Harrow. The concept of Eton-Harrow is totally outdated, but people still talk about them. This is one of the most popular pages in my website. Wigner's high school in Budapest produced two Nobels, as well as John von Neumann. This webpage is maintained by Y. S. Kim. The 1959 photo of Feynman and Gell-Mann is licensed from the Caltech Photo Archives.